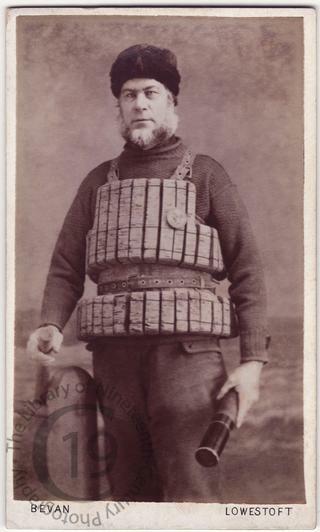 The sitter is more likely to be a lifeguard than a fisherman, given that he is wearing what appears to be a lifesaving medal. Photographed by H.W. Bevan of Lowestoft.